Today I'm a guest writer--which always leaves me a bit trembly and wondering, "Will they like me? Am I good enough?" This post running today, however, is different. It is for a blog series created by a dear friend and fabulous writer Alison McLennan. 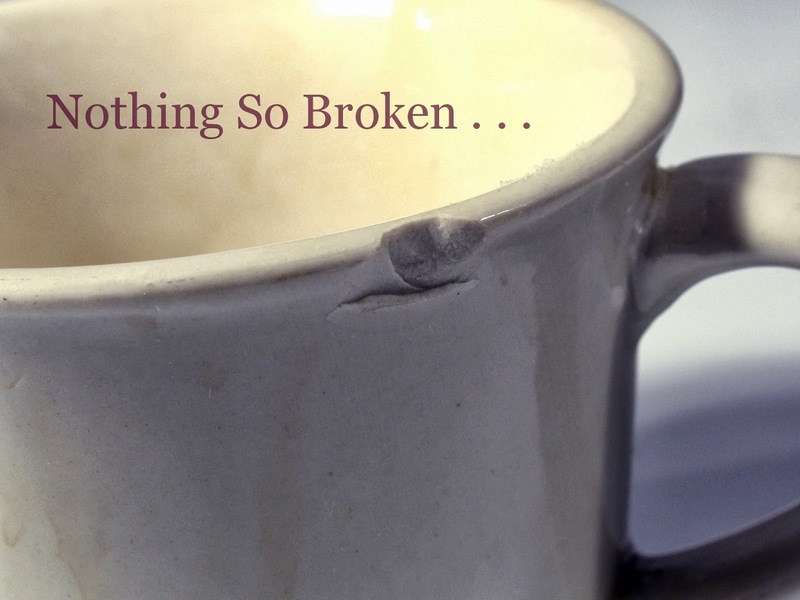 Alison describes her blog series as "personal stories of brokenness on the path to redemption." So when Alison approached me about writing a post, my knee-jerk response was: NOOOOOOO!!!!!! Way too personal for me. Besides, who wants to hear about a dark moment in my life? I want to spread sunshine and cheer! I want to inspire! To run through the hills singing like Maria VonTrapp! Maybe because I'm a glutton for punishment. Maybe because I am too weak to say no to a writing opportunity. But I think, more than likely, it's because there's a message the Spirit within me wants to get out. So, in fear and trembling, I wrote about my burgeoning realization of my own failings and where that has brought me as a mother and wife, as a writer and teacher--but more importantly, as a person in search of redemption. So, dear readers, I'd love love love to see some familiar faces over on Alison's blog today (just click on the picture above and it'll connect you). Stop in. Say hi. See how fabulous Alison is. And peer through the cracks and crannies of my writing into what is, I pray, a story of hope for us all. I am so glad Alison (who is also my writing friend) introduced me to you and your blog. Based on the posts I've scanned so far, I like your style and your sense of humor and I will enjoy coming back to read more. Lisa, thank you so much for coming and introducing yourself! I'm delighted to meet you and look forward to getting to know you better! Yes! You two will most certainly enjoy one another. Anna, Lisa just launched her own blog, Lisa Musings, over at lisaebetz.com. If you need a laugh, she's your lady! :) So thankful to call you both friends and fellow wordsmiths. I'll definitely be meandering over to see Lisa--I love reading the musings of others! Thanks for the introduction, Alison!